A recent research paper finds that cataract surgery may actually help you live longer. The findings were published last summer in an economic research study which identified, among other findings, medical conditions that contribute most to a healthy life expectancy. 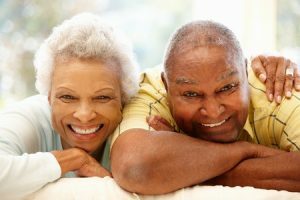 The National Bureau of Economic Research found that Americans over the age of 65 are living longer and with fewer disabilities, notably heart disease and vision. Cataract surgery improves our vision. This can allow us to continue to work and drive safely. Patients who had cataracts and elected for cataract surgery were compared to patients who did not have the eye surgery. Those who elected to have surgery were less likely to have a fall causing a broken hip compared to their counterparts. The study was conducted by the Hoskins Center and the University of California and reported by the AAO and found that cataract surgery was associated with a 16 percent reduction in the number hip fractures. In addition, patients with severe cataracts had an even larger benefit; a 23 percent reduction in hip fractures. Two other studies have reported similar findings with respect to car crashes. Patients undergoing cataract surgery have fewer car crashes compared to those who do not seek the eye surgery. Also reported by the AAO, an Australian study found that having the first-eye cataract surgery reduced the number of accidents by 13 percent. Moreover, the study remarked about the estimated associated cost savings realized by fewer accidents. A second U.S. study found that the accident rate was reduced by as much as 50 percent. In addition, in a follow up study of the same patients, those who had cataract surgery were involved in 27% more crashes compared to a 75% increase in the group who did not have surgery. Cataracts can cause blurring of the vision, fading of colors, glare and decreased color perception. The symptoms of cataracts usually occur very slowly and patients are often unaware of their own vision changes. Difficulty reading, watching TV, glare, blurry street signs might be signs that you have cataracts. The studies mentioned above highlight how beneficial cataract surgery can be to the quality and safety of your life. Cataract surgery is often painless and performed as out-patient (go home the same day). If you are concerned about your vision, schedule an eye exam with us or your own eye doctor. It’s important for you to know about your vision. That’s impressive that the accident rate can be reduced by as much as 50 percent when someone has cataract surgery. My father is having more difficulty seeing things and watching TV like you mentioned. I think we’ll take him in to get his eyes checked soon even though he has had 20/20 vision his entire life.